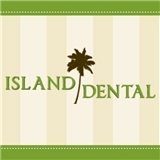 Island Dental (San Francisco) - Book Appointment Online! We are a dental practice located in San Francisco, CA devoted to restoring and enhancing the natural beauty of your smile using conservative, state-of-the-art procedures that will result in beautiful, long lasting smiles! Very nice, straight to the point, great staff, organized, kind and a lovely office space.